"Autism Awareness" means so much to me. My 3-1/2-year-old daughter was diagnosed with moderate autism 2 weeks after her 2nd birthday. She was already receiving many Early Intervention Services from the county but the diagnosis still hit us really hard. Autism is such a misunderstood condition because of the lack of awareness, which is causing this world a bit more difficult for the people on the spectrum to live. All they need is your understanding and patience, just like we neurotypicals need help and support from our family and friends. Their brains process things in different ways. My baby girl is a very happy but very stubborn girl. She can speak but does not communicate using her words. She loves numbers, shapes, alphabet, pretty much anything that is always in order or predictable. She doesn't do well with changes, repetitive events/routines are good. She also has pretty severe OCD. The biggest concern I have is that she has no safety awareness, it is scaring me to death to send her to school next fall. What if teachers look away for a second and she disappears on them? She does that to me all the time in the house. My house has baby gates everywhere because she is basically a three-year-old with a mind of an infant. However, she is extremely intelligent, she's memorized all the lines from her favorite shows/books. Anyway! I can go on and on about it so let's get to my card! You probably have seen the puzzle piece symbol for autism. Apparently, some people think of it negatively, but I think having a symbol for any cause helps spread awareness. 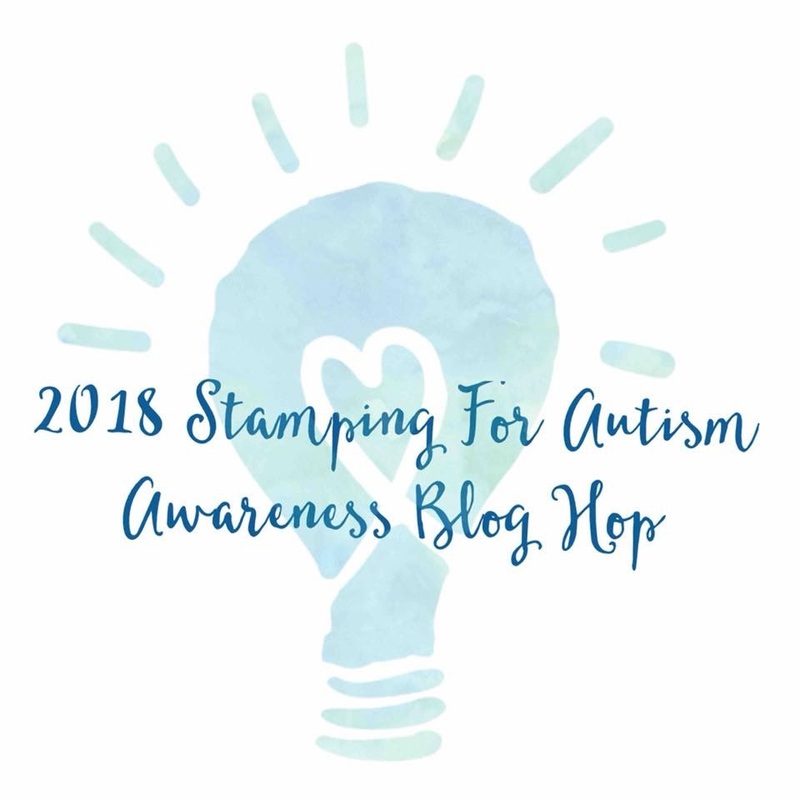 That is why I stamped the image on white cardstock as my base, then stamped it on poppy, yellow, green, and blue cardstock and die cut puzzle pieces from them. I heat embossed one of the sentiments from the Compay of Cats with white embossing powder on black cardstock and popped it right in the center, and also heat embossed 4 sentiments from the Beautiful Plumage Set. I love all these encouraging sentiments, being different can be difficult but if you can't be your true self, what are you supposed to be? We should all be proud of who we are, autistic or neurotypical, with or without disabilities, your race or skin tone, your gender or sexuality, all these things make you a unique individual! To win this bonus prize, comment on the NND blog and Design Team blogs (see list below)! The winner will be chosen at random from the posts linked below. Make sure to check out each of their blogs and comment for your chance to win. You will not know which blog has been chosen so the more you comment on the better your chances are of winning! You have until Sunday April 8th at 11:55 pm EST to comment -- winners will be announced on the blog post on Tuesday April 10th. What a super cool creation! 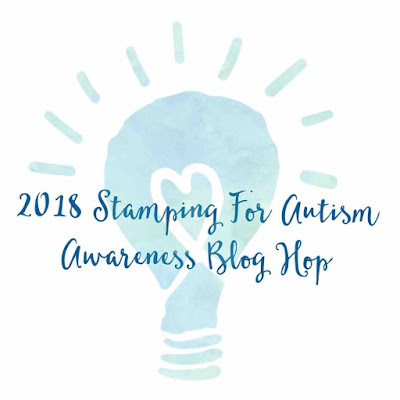 Thanks to everyone who are part of the blog hop, and to the sponsors for an awesome cause! What a fabulous and encouraging card! Thanks for participating in this cause! Love your card. Thanks for supporting a great cause. I just love this card! Great layout and design! Great card for a Great Cause! Thanks for sharing this clever and fun card for such a worthy cause! This is such a fun design! Great card! What a wonderful creative card. Thank you for taking part!! I had a puzzle piece cookie cutter which I gave to our teacher at school for when our kids made cookies as part as their activity and this card reminds me of that. The kids in our school are great bakers. At a very young age my grandson liked to count backwards from 1000 rather than to play with cars and trucks. A different skill for an unique individual . Oh, speaking of cool...wow, this is awesome! Love the way you incorporated the puzzle pieces with the cats! Thanks for spreading the word. Oh wow this card is awesome! Thanks for taking part in such a great blog hop. Thanks for sharing your story. May your sweetie find understanding teachers! I am totally amazed at how you did those puzzle pieces... cool Card! I love the way you introduced the puzzle die into your card. Thank you for participating in creating awareness for autism. Very lovely and it certainly is a puzzle! I really like your idea to mix two stamps with completely different design, the result is really fantastic ! Such a wonderful card! And an even more awesome thought process behind it! 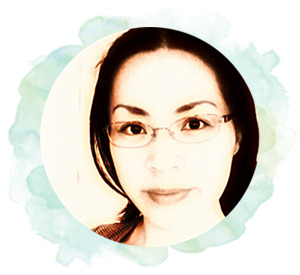 Thank you for sharing your inspiration. Love how you created your card integrating the puzzle pieces! Thank you for sharing lovely card and the lovely story of your daughter I hope you find understanding teachers when she goes to school. I to have a daughter with autism and OCD along with social anxiety she is now 25 and it only gets different the older they get I so understand the stubborn part. Wonderful card. Thanks for sharing your story and talents. Clever use of those puzzle pieces! Love this - and I love the puzzle piece too! I love your card Naki and I think the puzzle symbol is very "fitting" (if you will) for Autism. If anything ever needed awareness drawn to it, it is Autism. (((HUGS))) to you and your family. I love your card! Especially the puzzle pieces for Autism awareness. Awesome job!!! I love the card! The puzzle pieces are perfect! This is a really creative way to combine the Autism puzzle piece in your adorable card! Love it! I love this card! From the color vs. black/white to overlaying the puzzle pieces. It is something I haven't seen before. I how you've incorporated the puzzle pieces throughout your card. Very ingenious! Thank you for sharing all about your little girl. She sounds very much like my friend's son and he is very special and loved by us! I really like your design. Cool idea. I love this blog hop and am thrilled the crafting community jumped right in to help!! !yourcard is great. Great design with the colorful puzzle pieces. What an interesting combination of ideas with the puzzle pieces on the cat clowder. So important to bring attention to this cause. Wow! This combination really works!! Thank you for supporting autism awareness. Awesome card...thanks for sharing your story! How fun!!! Love your gorgeous card!!! Oh wow, this is so very creative! Thanks so much for participating in the autism hop! This card is beautiful! 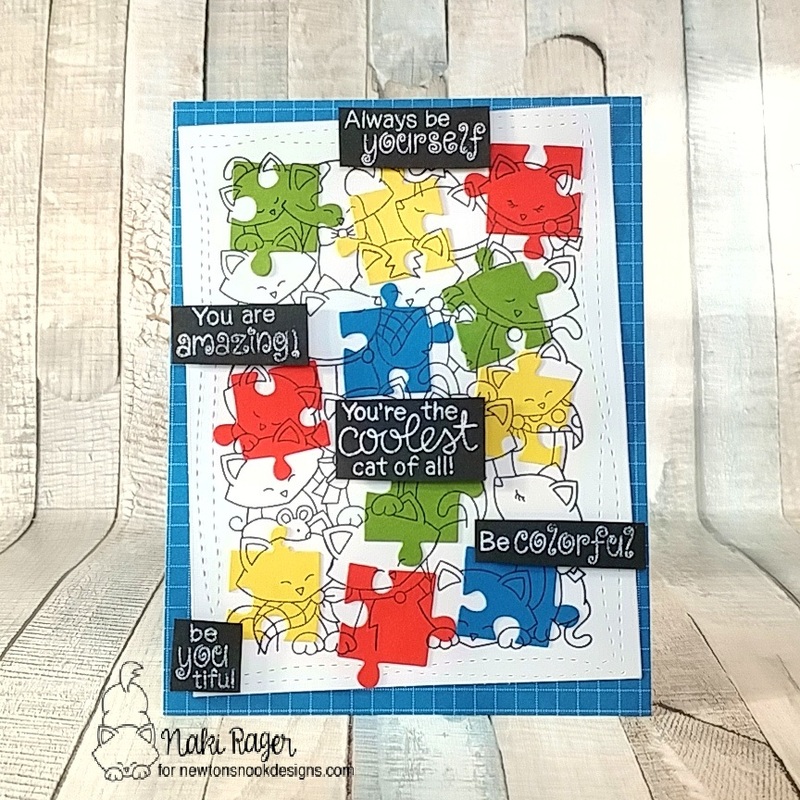 I love all the encouraging sentiments and the layering of the puzzle pieces! Perfect for the autism theme! Thank you for sharing about your lovely daughter! I know she will be an amazing little girl! Fantastic card! Thank you for sharing your story. Every time I hear another persons experience with Autism, I learn a little bit more. We can never truly know what someone's going through until we walk in their shoes. Much love and support to you and your daughter. I love the meaning behind your card. We are all pieces of the giant puzzle of life. Your daughter has a very special place in it and I know you are blessed to have her even if it is a challege at times. Thanks for sharing. Naki it's sweet what you write here. I've studied Social Work and did a lot of vacations with people with an without a dissability also autism. I think more people should do these inclusive activities. It makes us understand it better and learn how to go along with each other. I really suport these kibd of things so much!! Awesome card! Love the puzzle pieces and Newton! Thanks for sharing your personal story of the way that autism has touched your life. Very brave! Also, I love the card - especially your point that the card represents each of us, and those with autism are uniquely like each one of us! Best wishes to you! Thanks so much for supporting this important cause!